Comment: Need to replace gutters, down spouts and front facing aluminum trim on single level manufactured home. Comment: We live in a manufactured home community. Gutters are old and bent. Definitely need replacement. They leak in some places and overflow in others. Need an estimate and advice on best type of gutters for our situation. Comment: Leaks at 2 seams. Comment: Front gutter on house is damaged. Would consider repair but might need to replace the whole front run of gutter. SW Property Management & Aluminum Services, Inc.
Drew Yerger Seamless Gutters, Inc.
Naples Gutter Cleaning & Repair Services are rated 4.77 out of 5 based on 697 reviews of 28 pros. 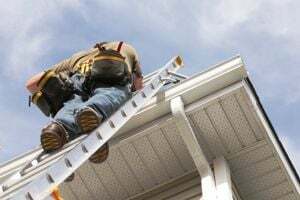 Not Looking for Gutters Contractors in Naples, FL?